Sally and I went to Ixopo to King’s Grant Country Retreat on request to prepare a bird list for them. King’s Grant is nestled in the valley of the St Isidore Estate and is surrounded by lush farmlands, dams, bushveld and wetlands. View of wetland area below dam wall. Brickfield Buildings 1891 and Kiln. 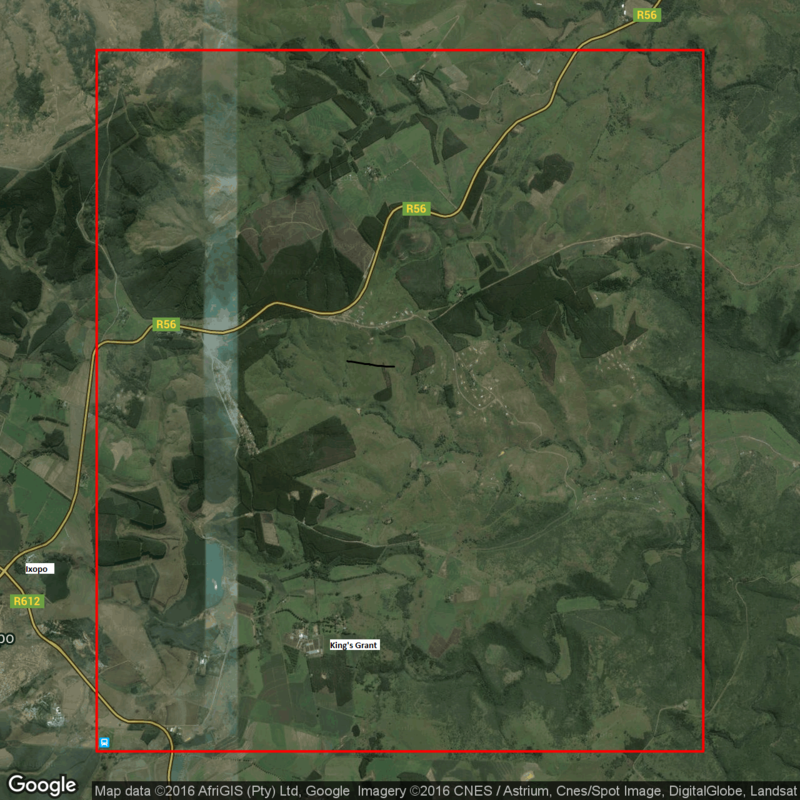 King’s Grant is a BirdLife South Africa Birder-friendly establishment. Its current rates can be seen by clicking here. 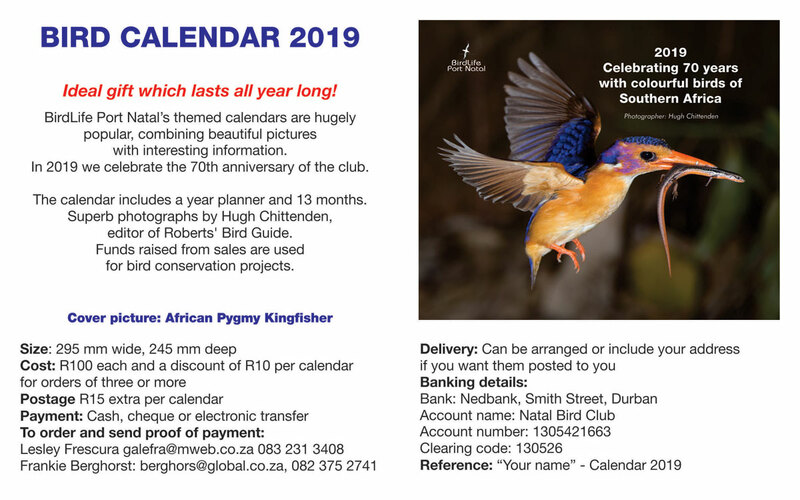 And members of BirdLife South Africa and its affiliated bird clubs are offered discount rates upon presentation of their membership cards. These discounts are only applicable on Friday, Saturday and Sunday nights and are 20% for one night, 25% for 2 nights and 30% for three nights. Our birding over the weekend started midday Friday in glorious sunshine. The next morning we awoke to a very misty morning followed by thunderstorms in the afternoon and evening. Sunday morning was clear blue sky. The farm fell into one pentad for our atlassing. Most of our birding was done from our vehicle. There were several areas where we could have walked but birds were less nervous of vehicles. As this was a huge farm there were many habitats to investigate. Unfortunately we did not manage to visit the forest and cliff-face area. In all we did manage to identify 102 bird species. Of which seven were new for the pentad: Amur Falcon; Goliath, Purple and Squacco Herons; Yellow-throated Longclaw; Red-backed Shrike and African Purple Swamphen. In all ADU has listed 202 bird species in the pentad excluding the seven new species we identified. 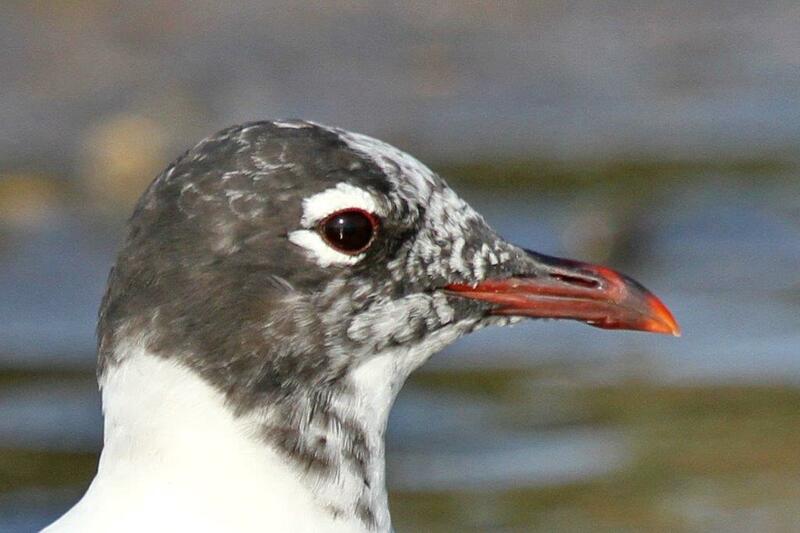 Click here to see the potential bird list for the pentad and the birds we identified. One of the first incidents we had on arrival occurred in a tree near reception. Birds were going crazy. On closer inspection we found out why – a large green snake. 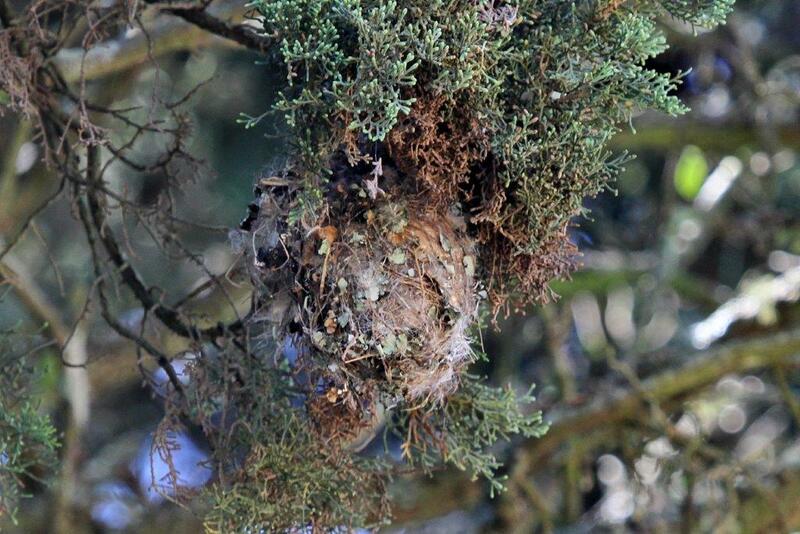 Probably after whatever was in this almost unnoticeable nest. 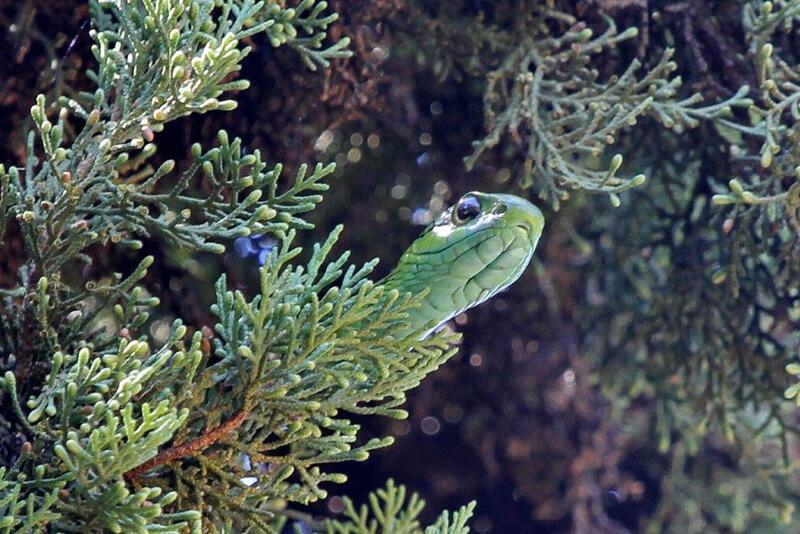 Nest in Green Mamba tree. Our next experience was equally exciting. A juvenile Red-chested Cuckoo being fed by a Cape Robin-Chat. Sitting on the verandah of the cottage we watched an array of birds in the gardens below us – some actually rather close. Drakensberg Prinias, Southern Black Flycatchers, Fork-tailed Drongos and Amethyst Sunbirds in the Agapanthus below. On a drive to Schreibers Dam and the Thornveld area we drove alongside fields of maize. On the other size was a large open wild grassland area teaming with Widowbirds – Fan-tailed, Red-collared and White-winged with their harems in tow. Southern Red Bishops and Common Waxbills were also present. Black-crowned Tchagras and Yellow-throated Longclaws were also calling. And in the distant gum trees a Black Sparrowhawk sat exposed. The main Dam – Isidore – was very quiet. We found the most activity at Schreibers Dam. Common Moorhens; Little Grebes; Yellow-billed Ducks; Goliath, Purple and Squacco Herons; Red-billed Teals. 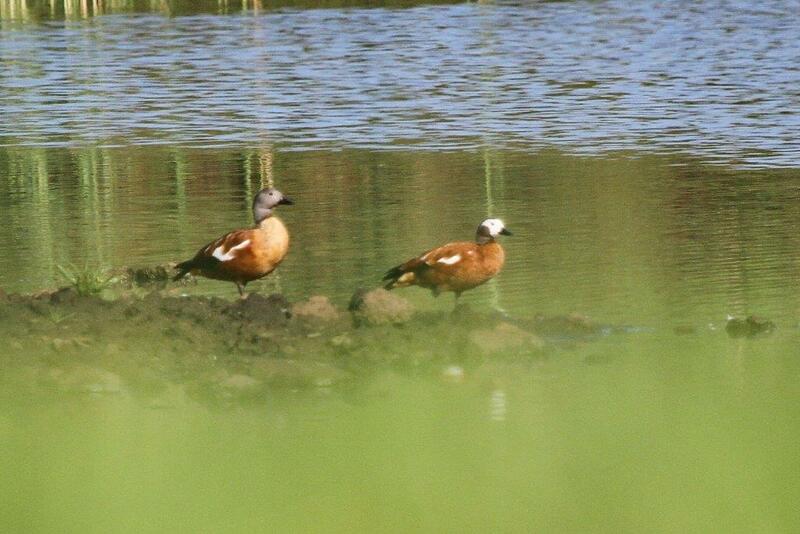 On another dam there were a pair of South African Shelducks. Driving around we came across Grey Crowned Cranes on three separate occasions over the time there – probably three in all. A pair together and a single bird on Saturday and a pair together on Sunday. There were also numerous raptors seen – African Fish-Eagles; Yellow-billed Kites, Long-crested Eagles and many Steppe Buzzards. Then on our last morning we found two more birds not previously recorded in the pentad. Ten Amur Falcons and a Red-backed Shrike. And just a f final word. There used to be two pairs of Blue Swallows on the farm in the open grasslands above the Isidore Dam until quite recently. It was a most enjoyable stay in a very attractive part of the Midlands. This entry was posted in Home, Posts and tagged King's Grant Country Retreat. Bookmark the permalink. I think that the snake is more likely to be a Boomslang with those large scales. Mamba is more apple green.